We focus on our clients’ security and provide peace of mind so they can focus on life. 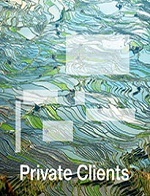 The Private Client professionals of Willis Towers Watson design and manage personal insurance plans for individuals and families and negotiate with insurance companies on your behalf. Based on a complete risk analysis, our Private Risk Advisors develop a risk management plan with solutions designed to address each client’s specific situation and lifestyle. Desire the peace of mind that comes from partnering with a professional who takes the time to understand your risk management needs and has the resources, experience and creativity to respond to those needs. 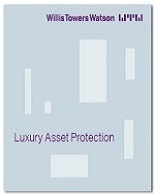 Seek comprehensive protection for a unique or high-valued portfolio of personal assets, including homes, automobiles, yachts, antiques and other valuables.